Spring is in the air – or is it!?! Well spring was almost in the air as the temperatures rose and thoughts of working out in the garden were becoming more appealing but this last week has put a stop to that as the temperatures plummeted and snow is lying on the hills again! Apologies for the lack of news but really there hasn’t been much to write about, folk have been catching a bit of winter down time after the festive period with the last month starting to work up to getting accommodation ready for the summer season and generally geared towards visitors returning to the island. On the community side of things the main developments have been catching up on the paperwork side of things and a lot of discussions over the past few months to ensure a clear focus for the our future green activities. 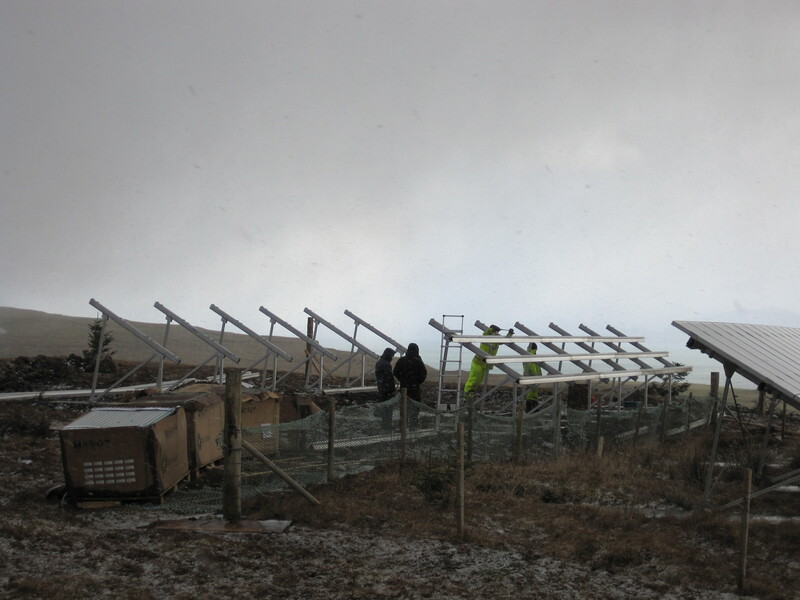 But in saying that this month has seen a welcome bit of activity up at our PV panels. 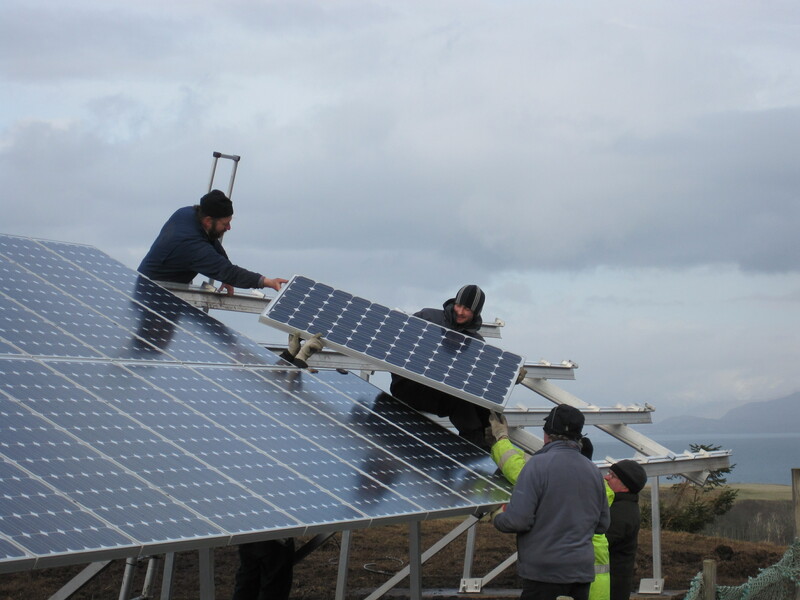 Finally after many failed attempts of getting to our wee isle since November, Wind and Sun have managed to return to install the additional panels to Eigg Electrics PV panel array. 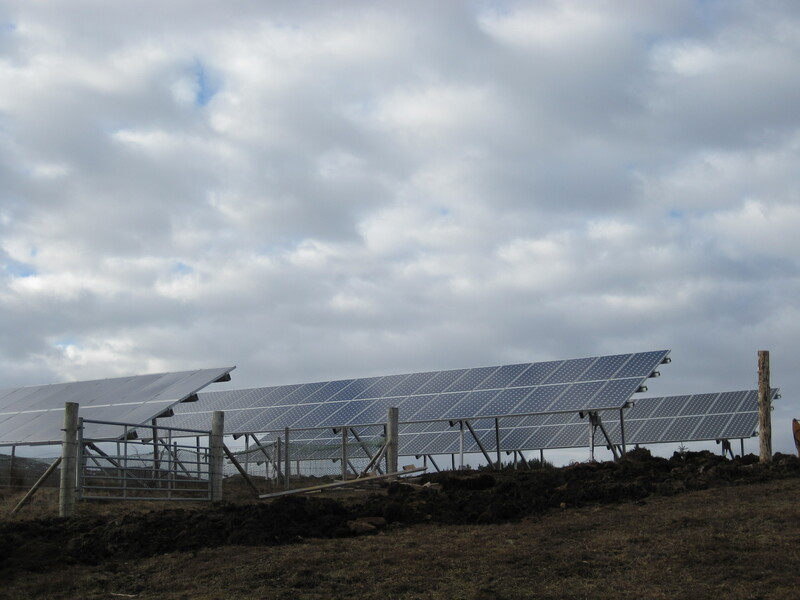 This brings our PV array from 10kW to 30kW providing we get the sunshine, so we are all hoping for a sunny summer this year to test them to their full capacity! The Wind and Sun team didn’t have it easy, they might have had a better crossing on the boat this time but the weather conditions throughout the installation was far from ideal as the wind blew along with snow, sleet and even a bit of hailstones thrown in there for good measure!! 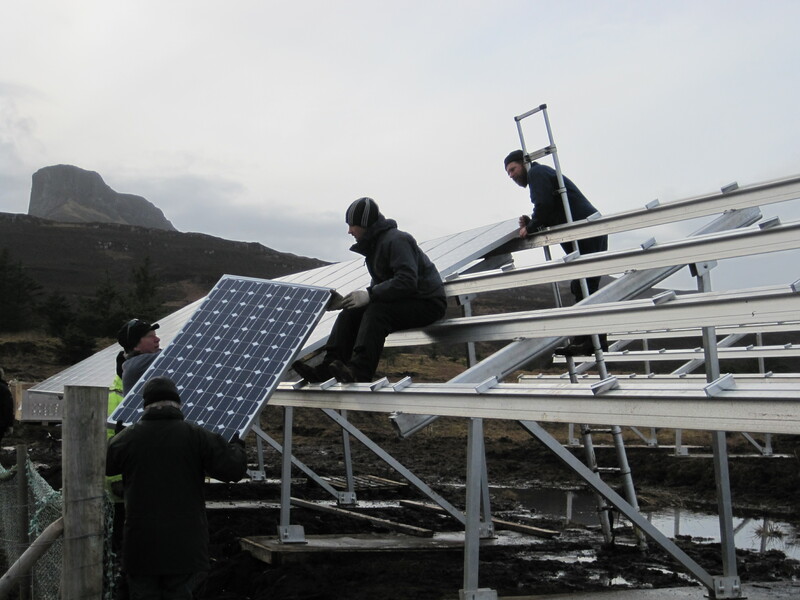 Our own Eigg Electric team braved the weathers also and assisted and learnt the process of a large PV installation along with a lot of holding the panels in place to prevent them blowing away (!) before they were fixed into place. I only went up to the site to take some pictures and the combination of wind and snow was quite fierce and absolutely freezing – our full compliments goes to the team for working above and beyond the original contract! 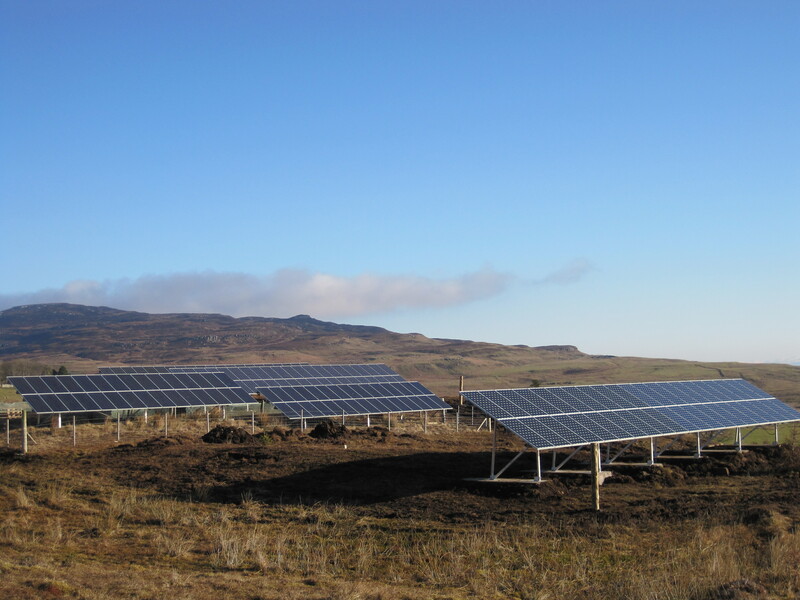 More activities are planned for this weekend with the previously mentioned post of our Eigg Electric Day on Sunday and also on Saturday weather permitting will be another Orchard Day planting a further 30 or so fruit trees expanding on the very successful newly created Orchard. Preparations are also being made as a shed has been made to go onto the site, as we all know all the best things come from the shed!! Watch out for this weekend Lunar Perigee on March the 19th as the moon is at it’s closest to earth since 1993! Enough madness occurs on a normal full moon who can tell what this one will bring, the mind boggles!! Just in time for a snow shower! "Hang onto that panel before it blows away!" The full array is now to large to fit in one shot! And of course the sun shines once the work is complete!! Our Solar PV panels were funded from with some of our NESTA Big Green Challenge award and from our Ashden UK Gold Award. THANK YOU.